Climate change is one of the greatest issues facing the world today. With temperatures rising to their highest point in 4,000 years due to human activity and monthly average carbon dioxide levels exceeding 400 parts per million, the climate is seeing significant and devastating effects. The number of natural disasters has risen 50% in 20 years, which is greatly impacting the quality of life of many communities. Even these most basic statistics are proof the environment is suffering from human actions and the need to mitigate the issues is growing exponentially every day. As attention to climate change, natural disasters and the human effect on the earth comes into focus and becomes a great global concern, leading minds will search for ways to solve the continuing crisis. One of the most innovative and sustainable solutions emerging from climate change technology are bots. A variety of robots and tools are being created to solve one specific piece of the environmental crisis. Together, the engineers who develop them and the bots doing the work will be able to make a difference and lessen the impact of human activity destroying the planet. These are some of the most creative and interesting bots with a mission for sustainability and a mind toward a better future. On average, there are over 100,000 wildfires in the U.S. every year. These ravaging infernos clear 4 to 5 million acres and take all the nature, homes and even people in its path. Often fueled by drought and dry conditions, wildfires can quickly get out of control and damage more than is good for the environment, not to mention the destruction it can cause on communities and homeowners. To avoid the peril of sending firefighters in to risk their lives, many companies have developed robots of all types to extinguish flames more creatively. 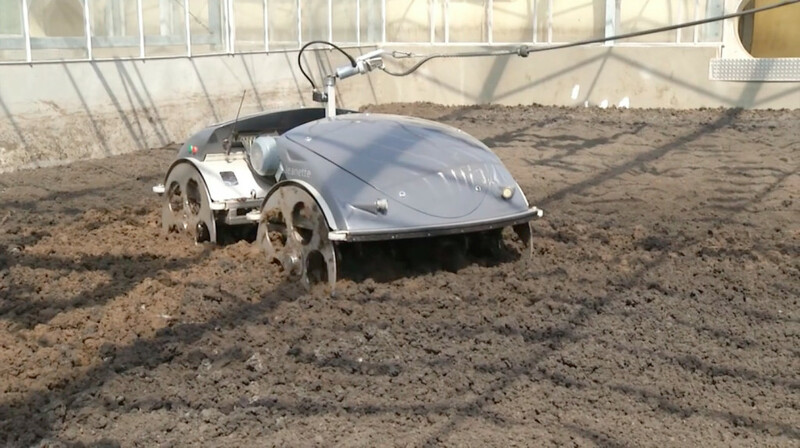 The original idea was a German bug equipped with water and extinguishing agents that would be autonomous and guided by GPS. The reality includes large, remotely controlled bots tethered to hoses, massive tank-style apparatuses that can follow a course or a human, and evolving humanoid firefighting robots. The ocean is a critical key in understanding the environment and discovering ways to remedy the damage that’s been done. With such a heavy influence on climate, caring for the ocean and learning how it continues to shape the world can greatly contribute to improving the climate crisis. After the BP oil spill in 2010, it was clear the world needed a better solution for clearing the ocean of dangerous pollutants. One designer imagined a small robot drone that could degrade oil with certain oil-hungry bacteria. The devices would also be powered by ocean waves and have a feature that keeps wildlife out of the way of the cleanup zone. This bio-cleaning robot isn’t a reality, but ideas like this are leading the way for how robotics will help the ocean. One truly revolutionary robot that has come to life is OceanOne, who explores the ocean floor and sends sensory signals back to his controls above the water. On its maiden voyage, OceanOne got stuck in a shipwreck. The robot’s creator, Oussama Khatib, could feel it and maneuver him out of the rusty cannons. The intention of OceanOne is to research the threats to the ocean’s biodiversity. By being able to go deeper and stay under water longer than a human, researchers have far more opportunity to learn about the mysteries of the deep blue sea. Not all robots are going to the depths as OceanOne, but are still performing important environmental work. Robotic “pigs” are being used in Germany to aerate and dry sewage plants. When sludge is extracted from sewage treatment, it creates a hazardous mud that needs to be dried immediately to avoid releasing dangerous pathogens and hormones into the environment. The pigs use solar power to do the job without creating any adverse side effects common of other methods. Each of these robots was engineered with one goal in mind. When approached with singular clarity and focus, robotics has the potential to solve many environmental issues. No one person or machine is going to solve the climate crisis with one magic solution, but if scientists and innovators continue to solve one problem at a time, we might have a chance to reverse the damage and work toward a truly sustainable future.